Fleurance is north of Auch in the rolling countryside of the Gers department (often referred to as Gascony) of the Midi-Pyrenees region of south-west France. 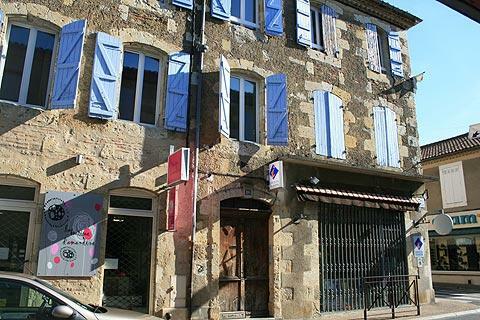 It is an attractive small town and makes a good base for exploring the region. 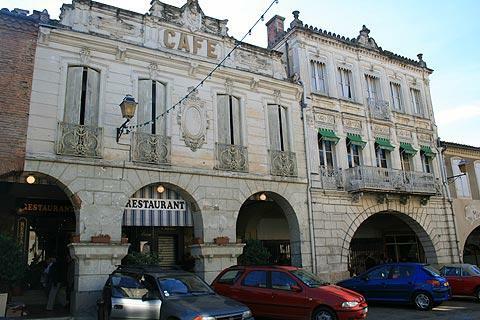 Founded in 1274, Fleurance is one of several French Gascon bastide towns in the region and follows the typical bastide town layout of these towns - based on a grid of streets around a large open square with a market hall in the centre. It is said that the town was named after the Italian city of Florence, to represent the important hopes the founders had for the future of Fleurance. 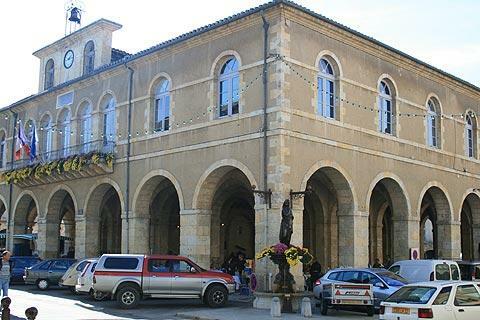 Your visit to Fleurance will start in the central square, with the arcaded buildings around the edges of the square reflected in the design of the substantial market hall. While the original market hall was supported by wooden pillars the current hall is a replacement built in the 19th century and is supported on stone arches. On each corner of the market hall in Fleurance there is a statue representing one of the four seasons, also added in the 19th century. You can also see the town hall here in the square, which is also a 19th century replacement of a medieval original, which had been destroyed by a fire. 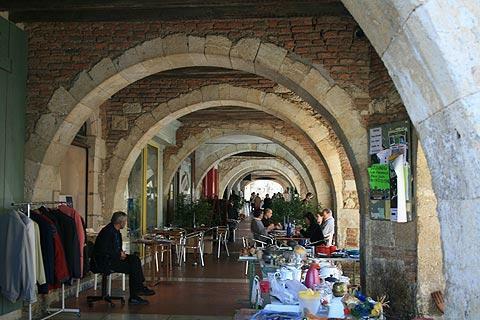 Around the edges of the square the attractive arcades (sheltered passageways entered through arches) contain a selection of shops, restaurants and bars. 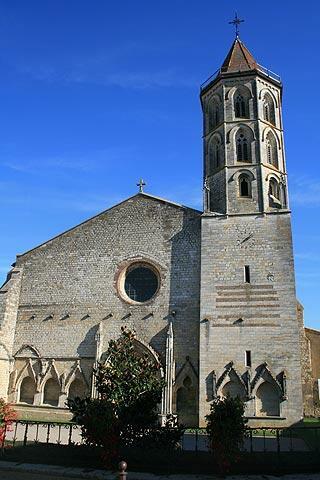 Also typical of a bastide town, in a smaller square connected to the central square in Fleurance you can see the large gothic style Church of Saint Laurent, built over an extended period from 1280 - 1406 and with an unusual belltower that is square at the lower level then octagonal and containing arches above. Inside the church in the choir section there are some particularly good stained-glass windows by Arnaud de Môles (1470 - 1520), and a statue of the Virgin which has been said to have miraculous healing powers. Predominantly a quiet region of sunflowers, small woodlands and small scale agriculture, there are several picturesque market towns and villages to discover nearby. 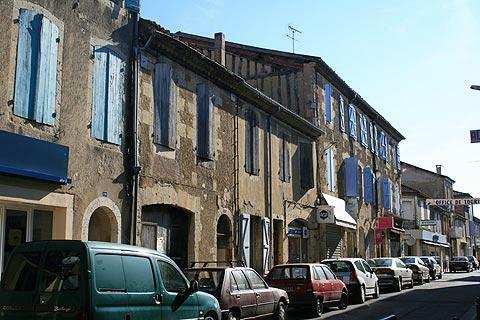 Among others be sure to visit the market town of Auch to the south, and the cluster of villages to the west of Fleurance that includes Fources, Larressingle and Montréal-du-Gers - they are close to each other and all three are listed as 'most beautiful villages of France'.